I had the pleasure of attending this year’s Hannover Messe, the world’s leading industrial show. I traveled to beautiful Hannover, Germany, to attend this event, which is 11 years in the running. This year, 225,000 visitors were treated to a number of new themes: Industry 4.0, smart robotics, and the energy systems of the future. Intel was there as well, working to better understand the issues facing manufacturing and industry. I’ve gathered together some of the big takeaways from my experience, as well as my thoughts on what we can expect from the future of M&I. Some old slogans got new life: “The IoT Is Everywhere”, “We Know the Future Because We Are Building It”, “Intel Inside” — all of these felt highly relevant and were on full display. It’s exciting to see that the future we were building just five years ago is here in force, and continues to promise more as technology advances. Many of these developments were platform-based, which was wonderful to see, with plenty of companies of all sizes offering infrastructure and solutions that painted a holistic landscape for manufacturing. The IoT was in action everywhere, with new use cases taking on starring roles. There were thousands of examples of how to leverage the IoT, from edge analytics to augmented reality, even digital representations of manufacturing equipment. I interacted with many partners: Cisco, Siemens, GE, Accenture, Microsoft, and Rockwell Automation were just a few. The maturity of the IoT is now allowing for better machine/human interaction, and it’s breathtaking to see that in action. Whether it was for monitoring conditions, co-work, digitizing manufacturing lines, or augmenting reality with Microsoft’s HoloLens, I saw seamless interaction between software-defined machine controls that enabled gesture control to turn machines on/off, change speed, and use HMI panels. Wearing the HoloLens glasses, I could turn to look at the equipment and see a digitized model showing the inside of the machine in any dimension. These IoT sensors interfacing with AR allowed me to experience machines maintaining and optimizing operations in real time. Machine learning was another star of the show, demonstrating the incredible power of systems that utilize predictive analytics to keep things humming along and functioning well with few breakdowns in service. Alongside them, so-called “co-bots” were featured prominently, demonstrating the many ways robotics will enhance human performance. Coming soon will be a robust 5G infrastructure that can provide the bandwidth necessary to keep edge and IoT devices constantly in touch with larger frameworks. This infrastructure will also enable businesses to contract out to services that supplement their operations, without having to rely on building enormous on-site or off-site infrastructure. It’s amazing to see how industry has evolved in little more than 10 years. Close to the end of my time at the show, I had dinner with a group of my colleagues from around the world. We enjoyed spirited conversation about where our world is headed. We agreed that the expansion of services is going to explode in the coming years, from food and healthcare delivery to education models. The convergence of machines and humans will continue, and the changes will be massive. Intel solutions provide the framework and power necessary to continue to spur those developments, and I’m proud to be a part of that future. 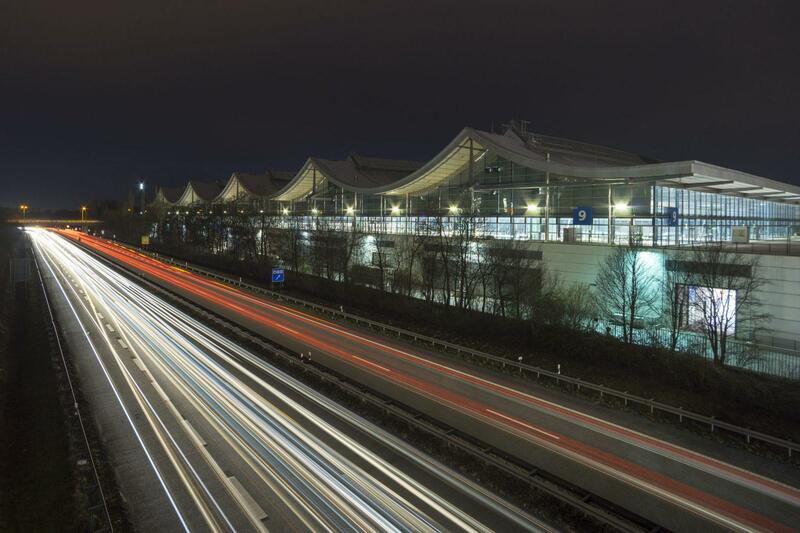 It was exciting and continues to be exciting to work with partners like Huawei, and I can’t wait to see what Hannover Messe is going to look like in 10 more years! If you’re interested in more information about our industry solutions, head to our landing page. Mary Bunzel leads Intel's Internet of Things solutions for the Manufacturing & Industrial sector. 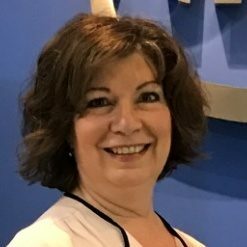 Mary also defines the strategy, guides sales teams, provides thought leadership for customers, solution architects, and represents Intel solutions in Global Manufacturing.